Boy, do I have a fun, kid friendly, hubby pleasing recipe for you all today! Chili Cheese Dogs are right up there near the tippy top of Uncle Bee’s favorite foods so you can imagine how much he LOVES this one! Preheat oven to 400 degrees. Pour warmed chili in the bottom of a Pam sprayed 13×9 pan. 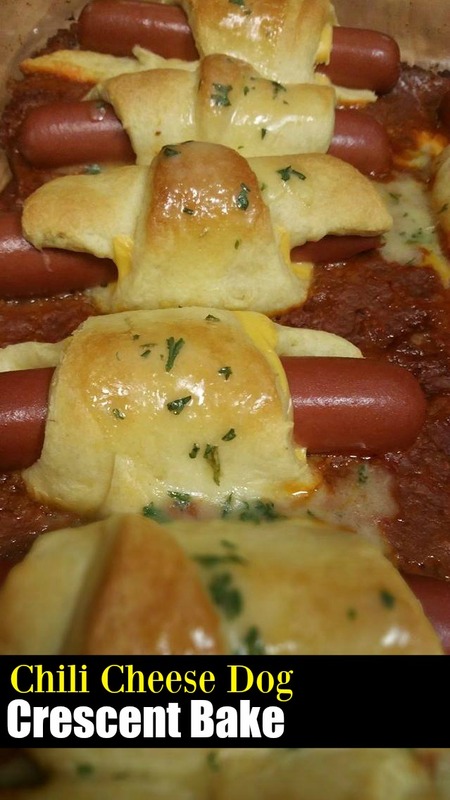 Wrap a hot dog weiner and 1/2 slice of cheese inside each crescent roll. 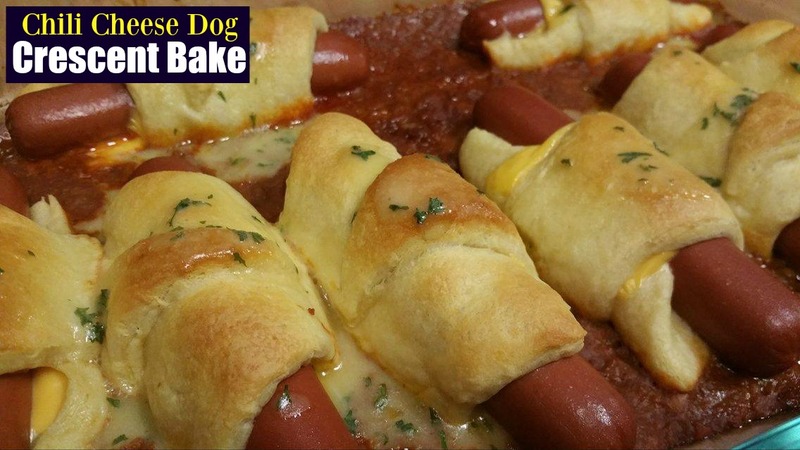 Place each rolled up crescent roll on top of the chili, making sure the crescent rolls aren’t touching each other. Bake for 15 to 20 minutes, or until crescent rolls are light golden brown. Meanwhile melt butter in the microwave and stir in garlic powder and parsley. Remove baking dish from oven and spoon the garlic butter mixture on top of each roll. Serve immediately and enjoy!